Book collecting can be a rewarding hobby and provide endless opportunities to expand your horizons. But it can also be full of pitfalls if you don’t know what you’re doing. That is why Landmark Books offers discussions on book collecting. We call it Book Collecting 101. This series is designed for all levels of collecting and will help you avoid misidentified works, what to look for in a book and how to avoid paying an unreasonable amount for a book. We held our second in the series last Friday and had a great time. http://landmarkbookstc.com/wp-content/uploads/2014/11/Book-Collecting.mp3 Landmark Books hopes to offer at least five sessions per year on various topics. The first session offered people the chance to learn about letterpress books. We were lucky to have publisher Chad Pastotnik of Deep Wood Press lead the discussion of how books are made and the printing techniques he uses to create these limited edition works of art. Our most recent session focused on how to identify first edition books and book club editions. I shared my experience and we looked at examples of each including British editions and modern reprints. Attendees also brought books to identify and we discussed the results. 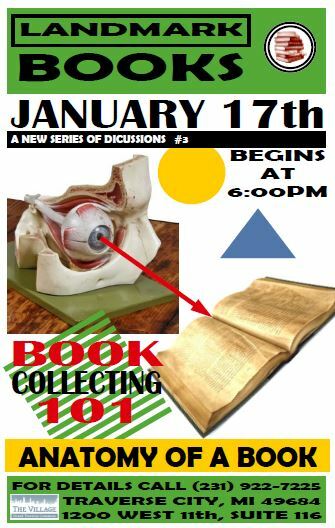 Book Collecting 101 session #3 will be held in January and we will discuss the anatomy of the book. You will learn the terminology we use to describe books and what the words mean. So if you’ve ever wondered where a books foot is or what a free end paper is then come on down to Landmark Books January 17th and you will learn book anatomy. 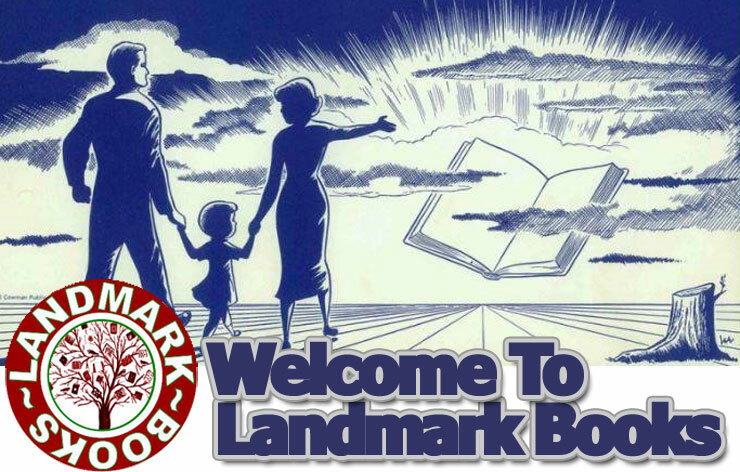 For additional details feel free to email us at info@landmarkbookstc.com or call (231) 922-7225. There will also be a free handout for those who participate.